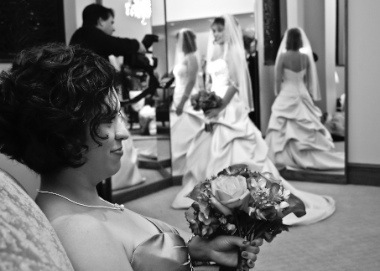 Wedding Videographers since 1985 and over 1,000 weddings under our belts! We provide a Cinematic style with packages that fit most budgets. We can shoot multiple camera angles, a steadicam that gives that “Hollywood” look, wireless mics, and so much more, including High Definition! Also imagine us creating a slideshow; showcasing pictures from your childhoods to your engagement. Most couples display these at the Rehearsal Dinner and/or the Reception, using our giant 7′ screen. So check out our website at www.captainvideoinc.com to see our demos and call us today!